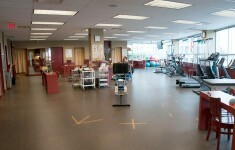 Metrotown Orthopedic and Sports Physiotherapy Clinic is proud to offer a state-of-the-art facility providing the highest of quality in orthopedic rehabilitation and care. 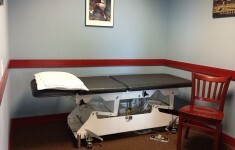 The clinic is located in the heart of the busiest regions in Burnaby, the Metrotown area. We are directly across from the Metrotropolis at Metrotown Mall and highly accessible via multiple routes and public transit, including SkyTrain. Our clinic is one of the biggest in Burnaby and its neighbouring municipalities with over 6000 square feet of office space. The highlight of the clinic is the more than 2000 square feet of well-equipped open gym space allowing us to provide sports-specific rehabilitation and work conditioning where most clinics cannot. Other features include over several private treatment rooms, hydrotherapy room, and spacious reception area. You will be impressed.